To maintain the very high standards of quality all manufacture and processing is carried out 'in house'. Facilities commence with design and toolmaking through all aspects of manufacturing including CNC machining, pressure die-casting, injection moulding, metal finishing, electro-plating, anodising and many other processes. 27 years of legendary cables sold in 70 countries. The first winner of the Life Achievement Award is the Dutch cable and cartridge manufacturer Aalt Jouk van den Hul: A man who is internationally acclaimed as one of the great analog audio guru’s and manufacturer of handmade cartridges as The Frog, The Grasshopper and the Colibri. A.J. van den Hul was also the first ever to make a completely metal free interconnect: appropriately called The First. The all-new open-chassis MILLENNIA Vacuum Turntable System is SOTA’s latest assault on the State-Of-The-Art in LP playback equipment. Like the critically acclaimed SOTA COSMOS, the MILLENNIA utilizes an ultra-rigid, unified sub-assembly utilizing a critically damped one piece sub-chassis, milled from a one inch thick solid aluminum plate. 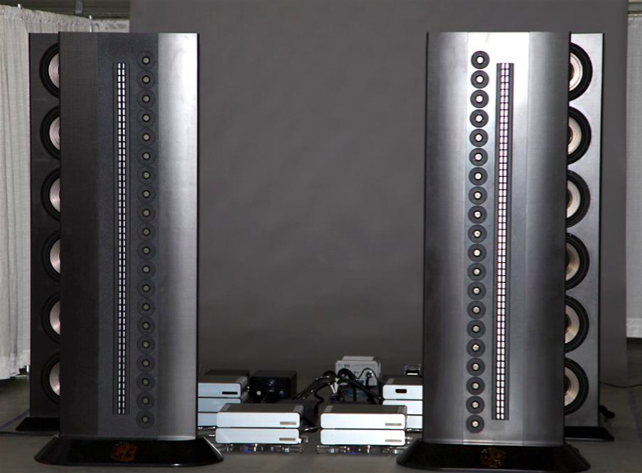 Unlike the COSMOS and previous SOTA top-of-the-line turntables models however, the MILLENNIA incorporates a spring-less, hanging four-point balanced-mass visco-elastic suspension system. The multi-layer suspension utilizes a variety of materials including Axidyneâ, a unique energy absorbing visco-elastic polymer, to provide excellent outside energy rejection at critical midrange frequencies. The MILLENNIA uses SOTA’s internally damped, multi-layer 15-pound vacuum platter system with the ultra Vinyl Format platter mat. It incorporates SOTA’s inverted bearing assembly design, utilizing a polished sapphire thrust plate with zirconium bearing. The SOTA self-sensing record-hold-down system uses a high-tech pneumatic sensing circuit to provide vacuum clamping and maintenance of exact low-pressure vacuum hold-down. The MILLENNIA’s synthesized sine-wave drive (with electronic speed control and speed change) 24 pole A/C Stepper Motor drive system is housed in a separate, high-mass stand alone cabinet and is powered by SOTA’s Electronic Flywheel power supply. Additional damping has been added to the cabinet as well as adjustable feet for fine tuning. To learn more of the basic goals of achieving maximum information retrieval. 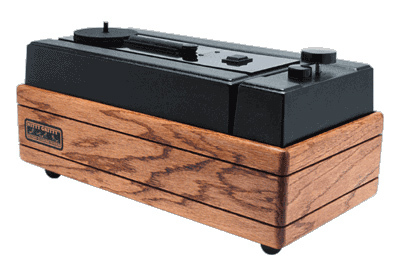 The MILLENNIA Vacuum Turntable includes the Cosmos Armboard and Reflex Clamp. The Cosmos Armboard is multi layers of acrylic, aluminum and lead in a constrained mode and high polished. The ultimate mechanical clamping system, the SOTA Reflex Clamp assures intimate contact between the record and the mat over its entire surface. The Millennia Turntable is considered a custom order.